It can be a trimmer (think about the old radio knob) or a slider (think about a audio mixing console). Potentiometers have 3 leads, the 2 one (usually in the middle) is the one to probe as analog input. 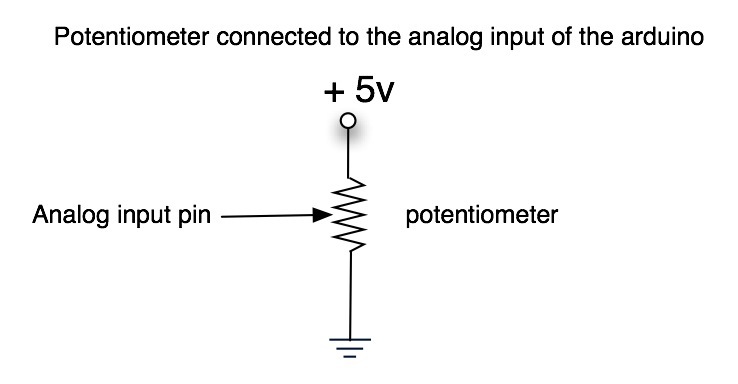 The other two should be connected to +5 and mass, the polarization of these two leads determine the minimum and maximum resistance in relation to the end of a slider or knob. 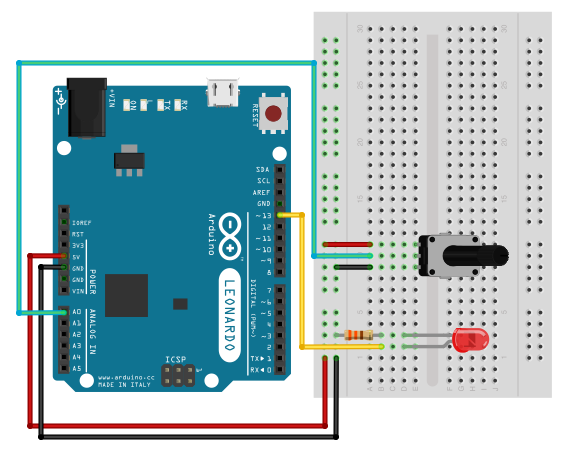 Make the LED blink speed dependent on the potentiometer. Of course the delay function can have a variable as parameter.